Click to bid on eBay. All proceeds will go to Datamancer’s family. 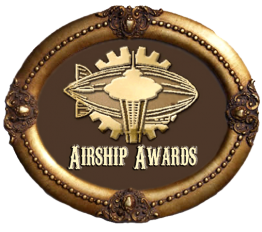 Recently, the steampunk community has suffered a great loss in the passing of Richard Nagy (aka. Datamancer), one of the most prominent makers in the community. Make Magazine had written a wonderful tribute to his memory. Sadly, I didn’t have the chance to know him personally, but he was one of the inspirational mainstays of the community, and his loss is felt by many, especially his family. Thomas Willeford of Brute Force Leather is working to raise funds to go to Datamancer’s loved ones in this time of grief. “I am auctioning off this Signed and Dated Datamancer Keyboard. Sadly, there will not be more like this ever again. If you have ever thought that you just have to have one, this is your chance. Help keep his legacy alive. Every penny is going to his family. I have contacted them directly to ensure this is done with good grace and honor toward his name. Any help spreading the word or bidding towards this special piece of art will be greatly appreciated, the auction will last through this Saturday.